Appropriate for all levels of experience. 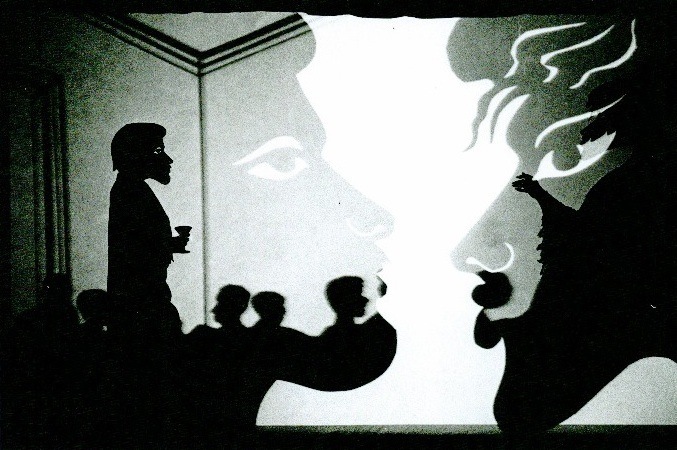 Learn or grow in the craft of Shadow Puppetry with nationally and internationally acclaimed shadow master, Larry Reed, a trailblazer in the contemporary shadow theatre field. We're fortunate enough to have him in town for a week! 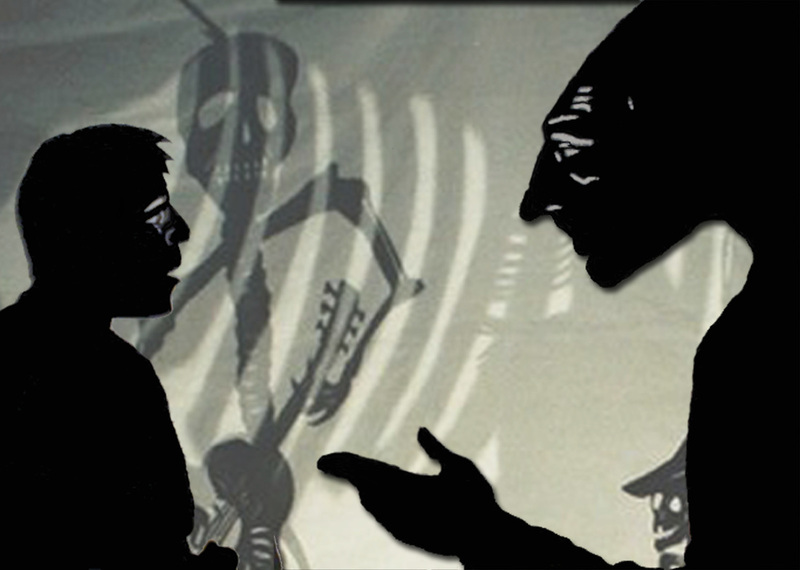 We are living in what American Theatre magazine recently called, "a puppet moment." Broadway hits starting with Lion King, Avenue Q, and Warhorse have put puppets in the spotlight. Shadow puppetry is possibly the oldest form of puppetry and the most magical. Larry Reed's Master Class is perfect for novice and experienced puppeteers looking to widen their skill set: teachers or anyone working with youth, visual artists, theater students, and any one interested in craftwork and fun! Scholarship Option: Take the master class for free in exchange for staying on to build puppets and backdrops during the building phase May 31- July 24 Building sessions will take place three days a week, Tuesdays & Thursdays 6-9pm and Sundays 2-6pm. A minimum of 20 volunteer hours required over the 8 week build period. The build is in service of the Sonoran Shadows workshop production, October 14-15, 2016. 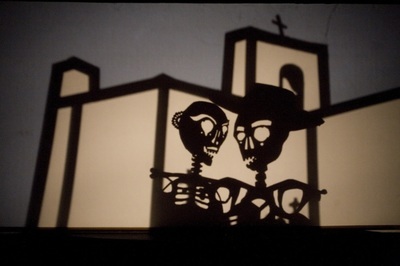 Paid puppeteer positions will be available for Sonoran Shadows. 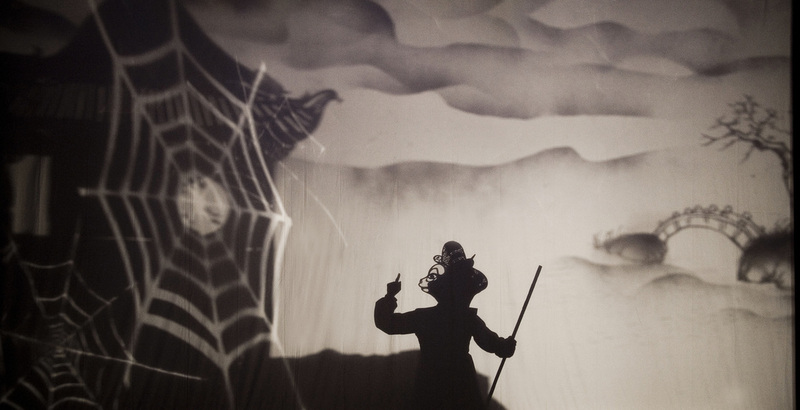 Larry Reed founded ShadowLight Productions in 1972 to nurture indigenous shadow theater traditions, and to explore and expand the possibilities of the shadow theatre medium. 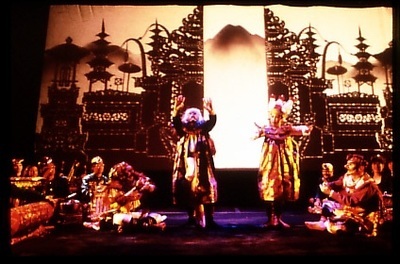 He is one of the first Westerners to have trained in the traditional Balinese shadow theatre (wayang kulit) and is a "dalang," or "shadow master," who manipulates over 20 carved leather shadow puppets while simultaneously serving as the conductor of the accompanying gamelan orchestra, the director, and the stage manager. Over the years, he has performed over 250 shows in this tradition around the world. In the early 1990's, Reed entered a new phase of his career by inventing an ingenious shadow casting method, integrating traditional shadow theater techniques with film, modern theatre and dance styles. His major works include In Xanadu, The Wild Party, Coyote's Journey, A (Balinese) Tempest, Monkey King at Spider Cave, Ghosts of the River, The Good-for-Nothing Lover, and Poro Oyna: The Myth of the Aynu. 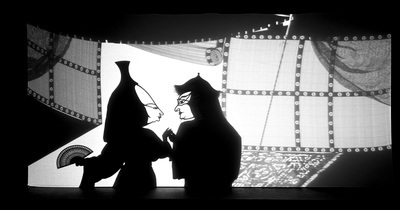 These and other original works have been seen at festivals and venues such as Henson International Festival of Puppet Theater, Britt Festival, the Spoleto Festival USA, World Puppetry Festival, Huddersfield Festival in England, Walter Spies Festival in Bali, Eugene O'Neill Theater Center's National Puppetry Conference, Fort Mason Center, Theatre Artaud, San Francisco Insitute for the Arts, and University of Hawaii-Manoa. 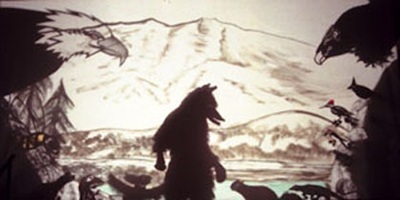 Shadow Master (1979), his unique "dramatic documentary" on the family of a Balinese shadow artist, has been shown on PBS and Discovery Channel. Reed has garnered numerous awards and honors, and was named one of Top 50 artists in the SF Bay Area by Metropolitan Magazine in 1995 and 1996. Watch a sample of Larry Reed's shadow work, Ghosts of the River here!